We’ve been remiss in our scarce coverage of AEV trucks. 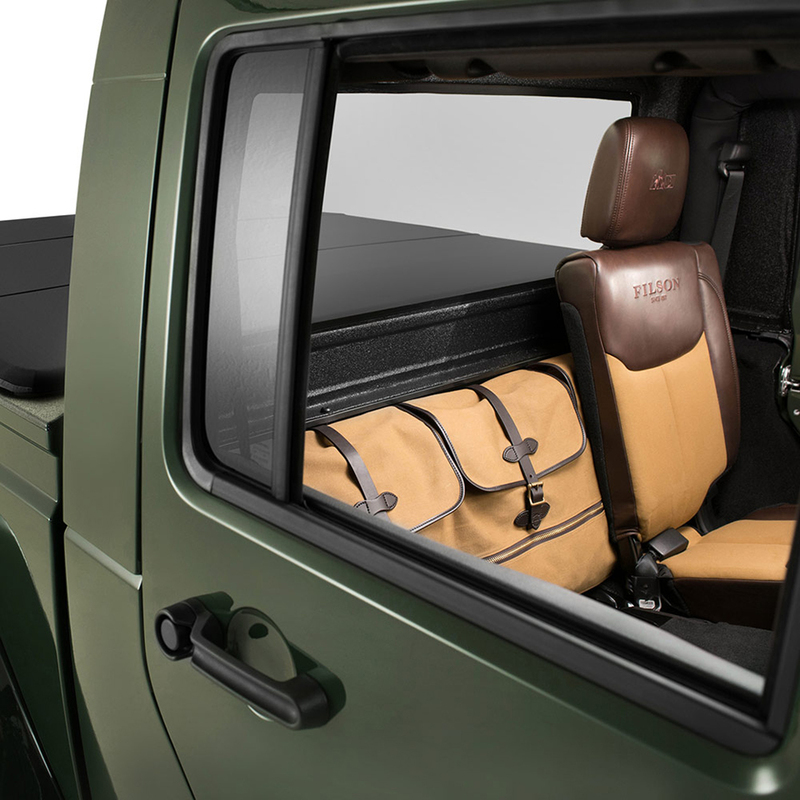 If you haven’t already heard, AEV takes the stock Jeep Wrangler Unlimited, stretches the frame by 39″, reinforces it, adds a 61″ composite pick-up bed, and then makes almost everything else better, stronger, or faster. There’s a tuned, remote-reservoir suspension with 4.5 inches of lift, an optional 6.4-liter Hemi V-8 with 470 hp and 465 lb-ft of torque, custom bumpers, a custom hood. The list goes on. 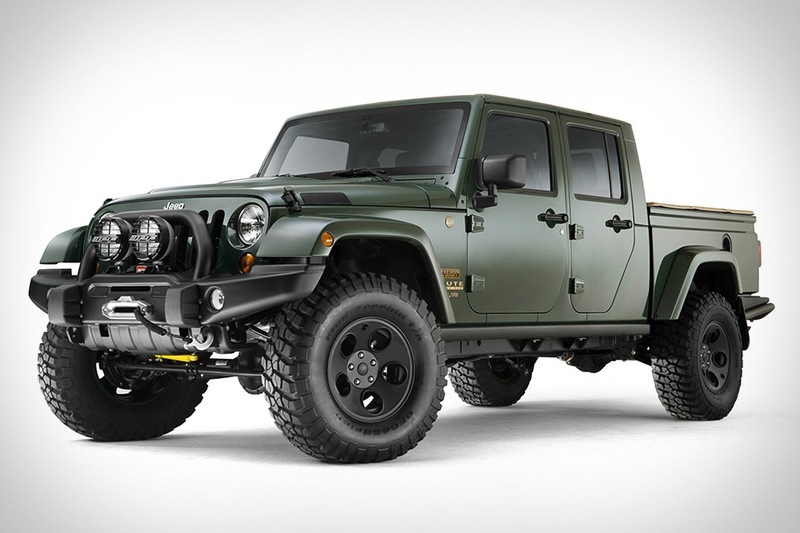 The result is called the AEV Brute Double Cab. By all accounts the ride, performance, and capability are amazing. This particular truck is a recently-released Filson special edition. That adds about $10k to the top-of-the-line Brute’s $120k price tag. 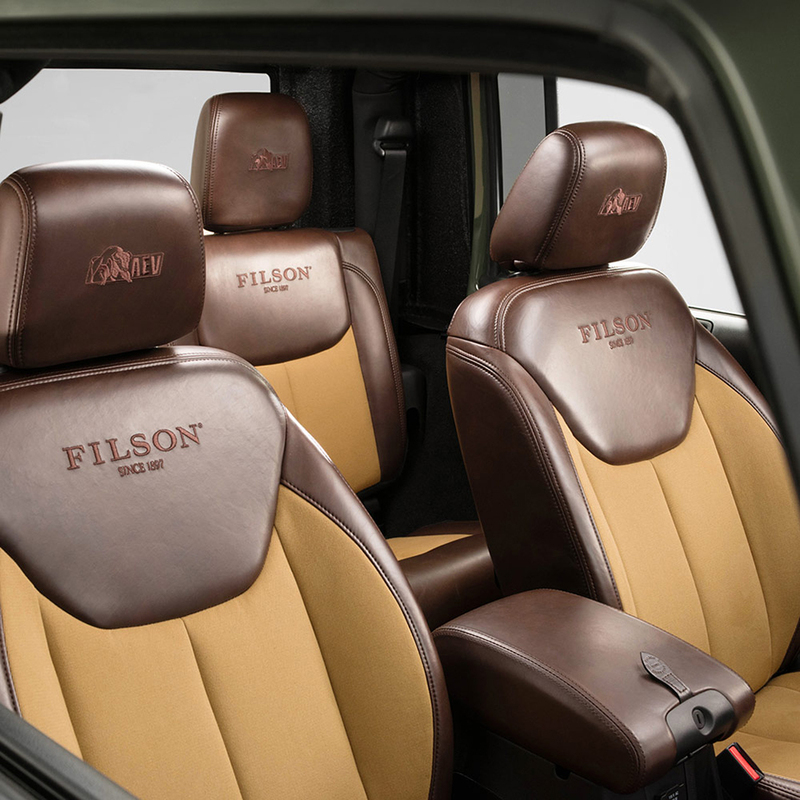 In exchange you get a custom Filson leather and cloth interior and special exterior paint but end up with only one seat in the back of the cab. Is it worth the bargain? You decide. Either way it’s great to see trucks of this quality being produced State-side. 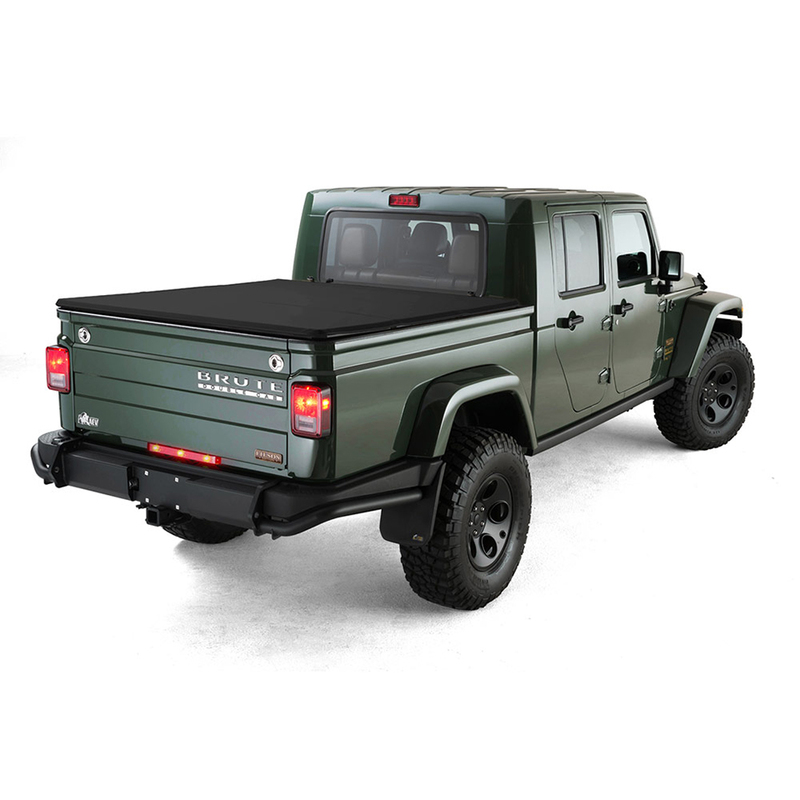 There’s a great overview video of the AEV Brute below and more photos of the Filson Edition Brute at the end of the post.